Don’t let your photos get stuck in your photo roll – capture the fun and instantly print 3×4″ photos on the classic Polaroid border and size everyone loves! You can even use the touchscreen to draw and add stickers to your prints. The perfect combination of modern and vintage, the Polaroid Pop is a must-have for spring fun! The Polaroid Pop 2.0 Instant Digital Camera can be purchased on Amazon. 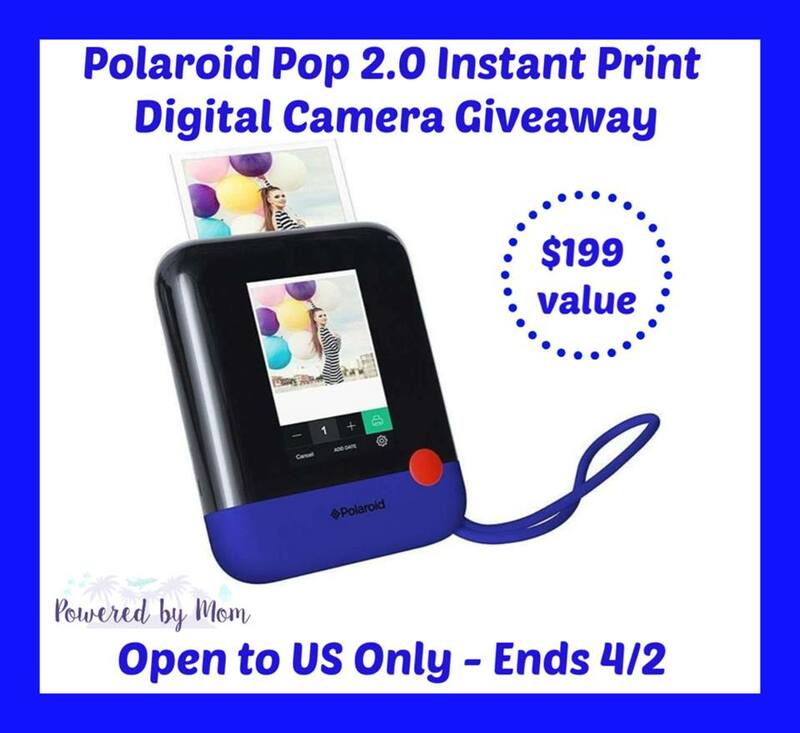 One lucky winner will receive their very own Polaroid Pop 2.0. Color at the choice of the sponsor. First I would take pictures of my two daughters and my son in law. Might even let my husband get in on this!! Lol!! My daughters upcoming birthday party.